If you would like to support the Fringe there is no better way than becoming a Friend. By becoming a Fringe Friend you will be making a valuable contribution to secure and maintain the Fringe, and showing your support for an event that enriches the cultural life of the town and makes a significant difference to the local economy. Once you're one of our Friends you will receive 10% off admission into Fringe events (this does not apply to tickets that are already concessions). Please show your Friends card when picking up tickets. NB For events bookable through the Opera House (those marked with a star), there is no 10 per cent discount possible on tickets purchased through the Opera House's internet booking system but the discount IS available if you book on the telephone or in person and show your card when you collect your ticket. Other benefits for Friends include early Fringe programmes, Friends' newsletters, free entry to the Fringe Club and an invitation to the Fringe awards ceremony. 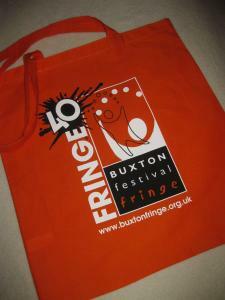 PLUS: Pick up your limited edition Fringe40 bag for reduced price of just £2.50 at The Green Man Gallery - bring your Fringe Friends card with you. Old Hall Hotel, The Square – 15% off food bill for up to four people, when selecting from the wine bar menu and dining in the wine bar or theatre bar. 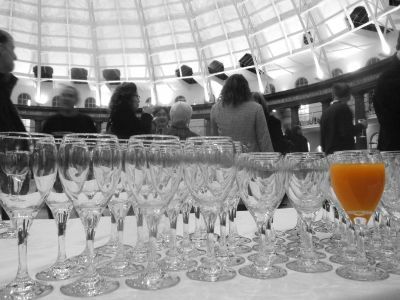 Note - the above offers are only valid during the period of the Buxton Festival Fringe and Friends must show their Friends membership card in order to claim the discount. 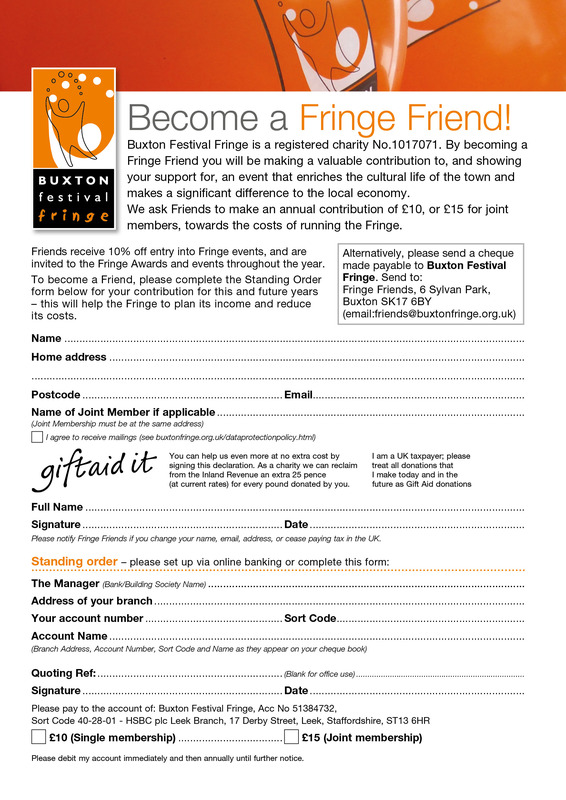 To join the Friends simply download and print out the Fringe Friend application form or Send message to Friends asking for the form to be posted to you. Sign up now to support the Fringe and receive invitations to Friends events during the year. Hope to see you soon - everyone's welcome! As of October 2018 we have 178 Friends.